There are two things you probably know that I like reviewing on Got A Ukulele. The first is luthier or 'non-factory' built musical instruments. 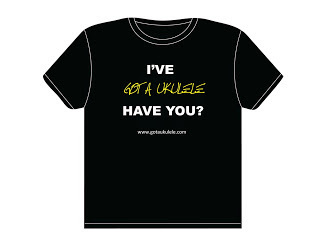 The second are ukuleles that are just very different and 'shake the game up' a little. And this fits both those criteria. 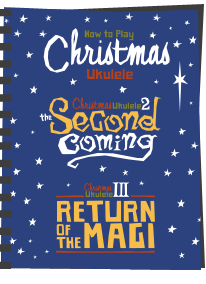 Lets take a look at this HPL Concert ukulele from Bonanza Ukuleles. 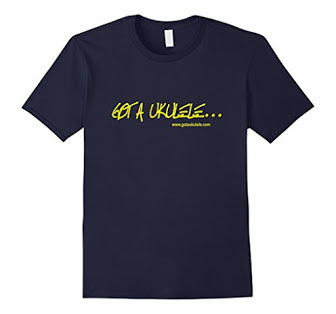 Bonanaza Ukuleles are the brainchild of Pete Mai and his wife Shelley from Big Falls, Minnesota USA. The story goes that in 2015 Pete, a woodworker made a model for his wife out of the HPL 'countertop' material and the idea stuck - so he made more. 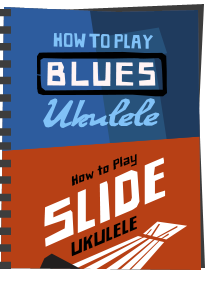 And this of course is not the first time that we have featured on HPL on Got A Ukulele. The Martin 0XK and 0X Bamboo ukuleles are made of the stuff as was last weeks review of the Enya EUR-X1. It's the same material used on kitchen counter tops and is incredibly strong and hard yet light. It's basically a formica material made from sheets of paper in a resin material layered up under high pressure. Some people have been sniffy about it, but I personally found that the sound of the Martin was staggeringly good. And here's the heads up for those of you who sneer at it. You are going to see quite a lot more of this going forward as pressures on the use of traditional woods grows. In fact I have more HPL instruments lined up for review and the word is there is lots more of it being revealed at trade shows. Watch this space. Now, I will say from the off that Bonanza also offer wooden instruments too, as well as kind of half and half models with laminate back and sides with solid wood tops. So something for everyone really. And that concept of 'buyers choice' extends into other areas too. Pete makes these in a choice of soprano through to baritone in scale. For each scale you get a choice of body shape (traditional double bout like this one, flatlander (kind of like a flat based Fluke), Pear (shallow waisted shape) or the funky 'amoeba' shape you can see in the final photo. On top of that you can specify the fingerboard materials, the tuners, whether it has a pickup - you name it. I like makers that offer this level of choice. Choice is good. As such, this review is more of a review of the brand than so much the specific instrument on display. So turning to this one, as I say, this is a 15" concert in scale and in the double bout shape made from single piece top, back and sides. This one comes in their 'Butterscotch Retro' pattern which is great fun. They offer a wide range of patterns and basically the range is dependent on what the HPL maker (Wilsonart) is offering I think. You can see the various patterns Bonanza offer on the link at the end of this review. A word about that. 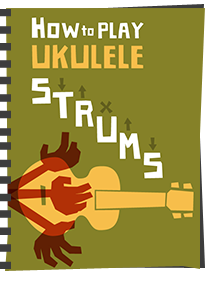 In my review of the Martin 0X Bamboo I berated Martin for creating a HPL 'non-wood' ukulele but then covering in a graphic that looked like wood. I thought it was a missed opportunity to offer something fun and different. You see, the outer graphic has no bearing on the tone, so I say have some fun with it. It's just an image after all. And that's what Bonanza are doing here I think, and full marks to them for that. So, as I say, a double bout shape. It has the same clean join edges as the Martin 0X with the same telltale dark grey edges to the HPL showing. On this one we have no other decoration (as if you would need it with a pattern like this!) and it feels chunky in the hands on account of the deep body depth. Bridge wise we have a walnut bridge plate that is in a slotted style. Fitted into this is a Corian (stone substitute) nut. It's not the first time I have seen a Corian nut - it's a material used by many luthiers to replicate bone, but it IS the first time I've seen it looking like this. Normally luthiers go with plain white corian, but Pete has chosen the variety of corian that looks like stone so it has flecks of black grain in it. It doesn't change the composition of the corian, only the look and I think it's rather funky! A look inside shows a tidy build and regular cross bracing. What did suprise me though is the very chunky kerfing linings which look like they are made of shaped or bent maple ply strips. They are hard to describe, and not really like any other kerfing I have seen before. I assume that is to ensure a good joint on the top and back. Still, they are doing their job. Also inside is the attractive hand pyrographed wooden makers plate and build date. Nice. Up to the neck, this is made from mahogany in three pieces (joint at heel and headstock) and bolted to the neck block in the body. It's a nice chunky profile and 36mm wide at the nut making it comfortable for me. And then we have another 'different' departure as this one has a fingerboard with integral frets made from the same corian material as the saddle. That is to say Pete has machined the Corian back to leave frets in place so we dont need inset nickel silver frets. The frets are carved in the Corian! Once again it looks like it is made of stone, but isn't and actually it feels more like the Richlite fingerboards on the Blackbird Clara. I suspect though it will be a 'love it or hate it' design feature, but you should be aware that most of the models Bonanza make have regular wooden fingerboards with metal frets as you will see on the Amoeba photo below. If you want those you can have them. For me, I would take the wooden board, but that's just me and won't be marking the Bonanza down because of this. Choice, choice, choice. Incidentally, we have 19 here with 14 to the body. We also get black dot position markers at the 3rd, 5th, 7th, 10th and 12th spaces and these are repeated on the side. Beyond the Corian nut we have a subtly shaped headstock with a facing of more HPL and the Bonanza logo laser engraved into the top. I like the simplicity of the shape and that they havent tried to go too crazy. Tuners are unbranded sealed gold geared tuners with small red / amber style buttons that work well. Sure, I'd like friction pegs myself, but that's just me and I am sure Pete could fit them if you wanted them (remember that choice!). 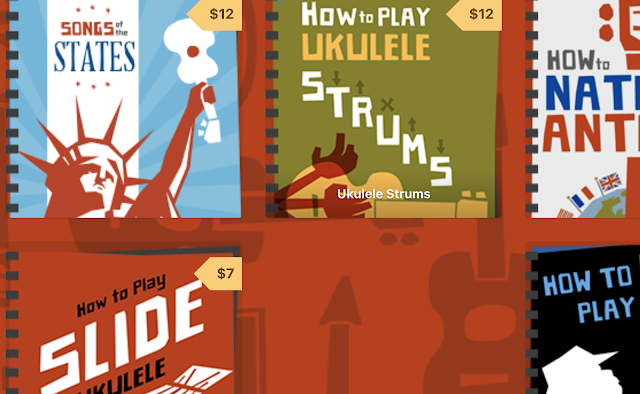 These appear to be very similar to the ones you get on Mainland ukuleles. So an interesting one so far and full marks to it for the boldness of the outer design. The whole build has a kind of homely arts and crafts feel to it that I hope Pete doesn't take the wrong way. I say that in a good way as I want luthier instruments to feel like they have been made somewhere other than a production line. This one feels like that despite the synthetic material in the body. The body is substantial but it's comforting to hold. It is certainly heavier than a lot of concerts though and is slightly body heavy. I mention weight and balance in all my reviews so only right to mention it here. It's not annoyingly so, but it is heavier than most wooden ukes. Maybe it's things like the corian or the chunky kerfing as looking at the edge of the HPL it seems thinner than that on the Martin 0X or Enya EUR-X1. Of course, that body depth is also substantial which may have something to do with it. Set up though is spot on at the nut and saddle making for a pleasurable strumming and fretting experience on the fingers. A rap of the top shows me that it's resonant too, which bodes well despite the weight. And that resonance is there in the sound too. It's got a real punch when you want it and good sustain and power. Great projection in fact and delivered with a rich, complex and jangly tone. It's certainly a 'HPL tone' and despite being a concert reminiscent of the Martin 0X in warmth yet with a bit of bite. 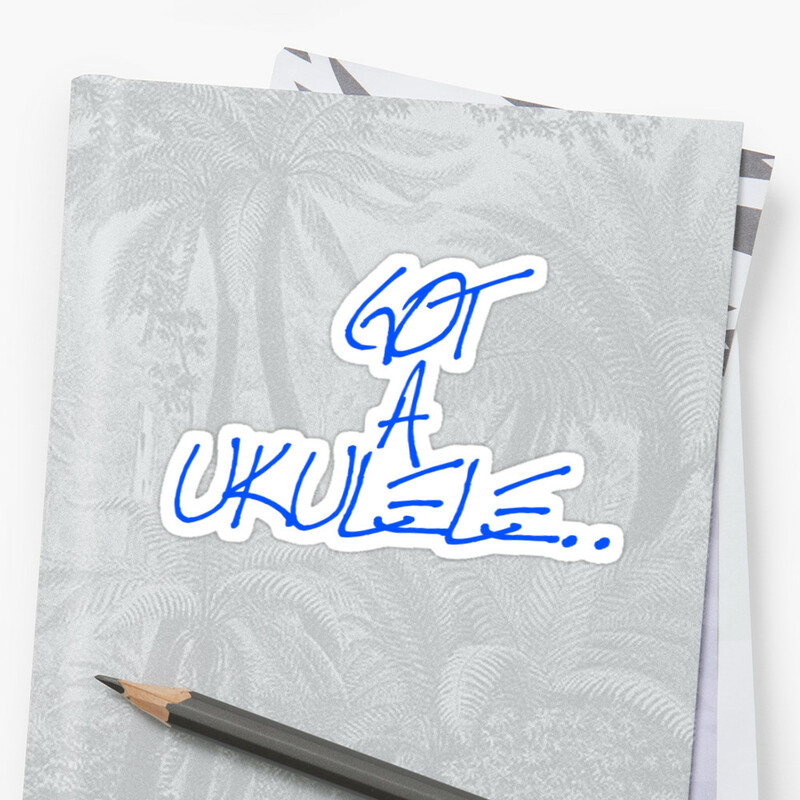 I'm not trying to get ahead of myself here and put this on a pedestal next to a Koa hand made wooden uke, it's not. But it IS very pleasant to listen to I think. What really surprised me was despite not liking the look of the corian fingerboard in the white, the feel on the fingers is extremely comfortable. Maybe I could get used to the looks! That feel really comes off when played fingerpicked and you slide up the frets. Really really nice on the fingers. And the fingerpicking tone is bell like and jangly too. I'm really liking the tone on this one. Most of all though I like what this brand is 'about'. I like that they are home made in the USA, and I particularly like that Pete is being bold in the designs, shapes, and things like the use of Corian. He'e experimenting and that is a good thing. Of course, if you want ultra wooden traditional, he will do that for you too, but you know... why not be different? Remember that word 'choice'! There's lots to like Barry but at £200 he's got some heavy competition. At half that it'd be competitive and a bargain. $200 not £200, but either way - $200 for a home made instrument made in the US and not a production line. I have to disagree with you. We are away from factory prices and in to paying for his time. It's an absolute bargain. If UK builder made one of these I would be paying £350 minimum. The bill of cost is not in the materials - that's insignficant no matter what they are made of - it's in the man hours. I had the pleasure of spending a weekend at their place a couple of years ago. They are very easy going and accommodating people, and I'm sure anyone who works with them on a custom instrument will have a good experience. Regarding the kerfing, I asked Pete why they don't use regular notched kerfing, and he explained that the counter top laminate cannot be pre-shaped the way a luthier bends solid, or laminate wood sides. It must be glued to a frame that forms the desired shape, in the same way it's used to make counter tops. So if the Martin HPL instruments use notched kerfing, that would seem to indicate that they are able to pre-bend their sides. I suspect that Martin's HPL is manufactured for their application rather than ordered out of the counter top catalog, and I have seen the Little Martin HPL guitars offered in solid black. It has been WONDERFUL seeing how Pete and Shelly Mai's "Bonanza Ukuleles" story has progressed - from the first models that they sent out for comments and review by fellow members of the Facebook Group "UAS Anonymous", how responsive they were to comments and suggestions, then the next waves of innovations and experiments! The end result, in terms of quality of instruments, choice and service, comes out of that absolute "Master Class" in R&D and Market Research! The only question I was left with after that great review, Barry, is whether there are any particular hard cases suggested to fit the "Amoeba" models? Or do they fit into "standard" hard cases?